When you need to hire a skip, at Aireborough Skip Hire we know you don't want to worry about it arriving on time, or worry about paying exorbitant charges. That's why, when it comes to providing skip hire in North Leeds, we make sure we offer a fast and efficient service. 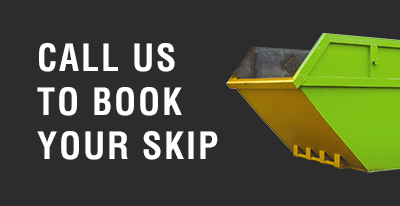 When you need to hire a skip in Leeds, we'll be here! Whatever your requirement and whether you're a small local business, a multi-national company or a householder, at Aireborough Skip Hire we hire skips for virtually every need. Call Aireborough Skip Hire now on Leeds 0113 370 9125 for a superb, local skip hire service. We fully recycle up to 85% of our customer's waste to help the environment. Free delivery to homes and businesses if you're within a 10 mile radius of our yard. To get a quotation or to place an order, please call us on 0113 370 9125 to speak to our friendly staff.